Award-winning internet operator Emani Fakaotimanava-Lui says the internet can play an important part in keeping the Niue language alive. Mr Fakaotimanava-Lui has just returned to Niue from the Internet Governance Forum in Nairobi, Kenya, where he was presented with an international award on behalf of Internet Niue for its innovative work building Niue’s WiFi internet [see footnote]. “At one time, English was the language of the internet. But in recent years there has been an explosion in the use of other languages and scripts, most notably Mandarin,” he says. There are probably 25,000 people of Niue descent on the planet, but only 1200 live permanently on Niue. “Most people from Niue speak excellent English and this has enabled them to get jobs in New Zealand and elsewhere. But this doesn’t mean they need to lose their connection with their mother tongue,” says Mr Fakaotimanava-Lui. Mr Fakaotimanava-Lui says Vagahau Niue users could use macrons in much the same way as has been done for the Maori language. The next step would be to provide Vagahau Niue options for major internet browsers like Google and Firefox. Another potential role for the internet could be to give residents access to much larger and better resourced libraries than Niue could ever afford to have. As a representative of Niue in an international forum, Mr Fakaotimanava-Lui said most other delegates didn’t know of the existence of Niue and had little awareness or of other countries in the Pacific. “This was a bit distressing,” he says. “It would have been ideal to have a Pacific booth at the forum, raising awareness of about the Pacific in general as well as our individual countries. 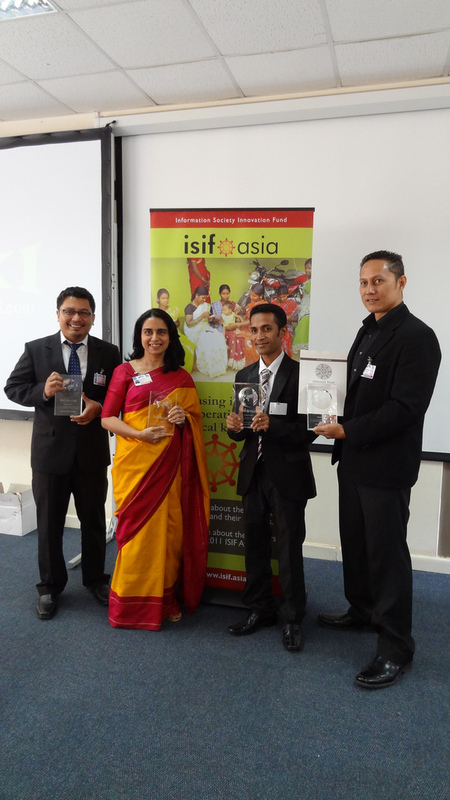 The award won by Internet Niue was one of four award categories funded by the Asia Information Society Innovation Fund (Asia ISIF). The fund is a joint initiative of the Canadian International Development Research Centre, the Internet Society and the Asia Pacific Network Information Centre (APNIC), with sponsorship from DotAsia. 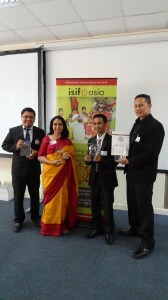 For the 2011 awards, the fund received 46 award nominations for the four categories from 17 economies in the Asia Pacific. The $A7500 grants associated with the awards are for internet projects that benefit users and communities in Asia and the Pacific. The category won by Internet Niue recognises its success over the last three years building local internet capacity and encouraging qualified locals to support the Niue internet community with a reliable locally-provided service. 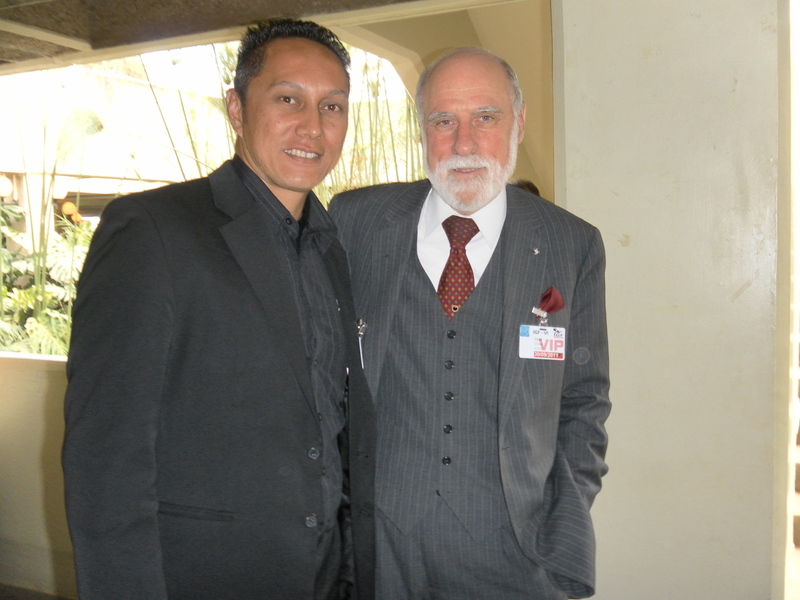 Internet Niue is operated by RockET Systems, a private Niue company owned by Emani and TaniRose Fakaotimanava-Lui. Internet Niue is funded by the US-based IUSN Foundation from the sale of .nu domain names, mainly in Sweden. I would like to assist by providing hosting for translation of the OLPC XO laptop user interface into Niuean. Please contact me so I can properly set up the language on our server. All I need are the number fo plural forms and a description of when they are used. Actually, that OLPC project was officially ended last week by the Niue Education Department. However, I’m now in the process of negotiating with the Agency that delivered the OLPC project to Niue with the hopes of reviving the project but under a business type model that I think our company can provide services to make sure it is sustainable. The main reason from the Education Department for ending the project is that the pilot phase stopped and they’re finding it hard to continue the expensive satellite connection. But I would be happy to discuss more about this possibility as I actually thought of translating ALL of the OLPC programmes and perhaps creating more all in Vagahau Niue (Niue Language). This would make it trully and universal effort. Thank you for contacting and I look forward to ongoing dialogue.